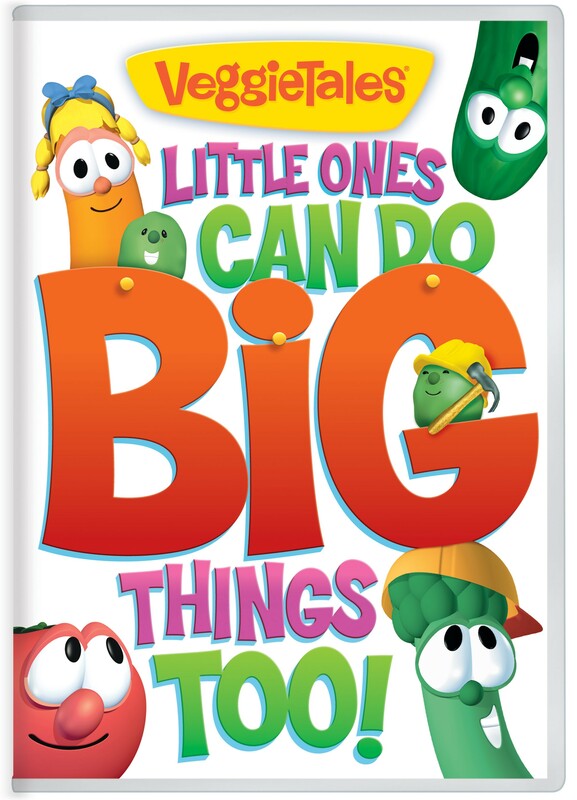 ‘Little Ones Can Do Big Things Too’ is the Veggie Tales DVD that cheers on the underdog. Including three much-love Veggie Tales stories, this little DVD packs a powerful punch groovy music, laugh-out-loud fun and essential spiritual lessons for 3-7’s. Inspired by the classic Veggie Tales song, ‘Little Guys Can Do Big Things Too’, these three animated stories will teach your little one that size doesn’t matter. They can be used by God to do BIG things! The VeggieTales workshop has crafted a wonderful lesson from the classic tale of Pinocchio. Little Pistachio thinks he knows what’s best he runs away, only to learn the hard way that life without his loving father is dangerous and scary. Teach your kids the importance of obedience and love. The Vikings were ruthless, and the vegetable Vikings are toothless! Lyle, the smallest and youngest of the group of vegetable Vikings on their way to conquer, discovers that being kind is better than being mean. He goes on to teach the others this valuable lesson in kindness. Goliath has been pickled by the VeggieTales team in this retelling of the famous Bible story of young David’s bravery, courage and steadfast faith. Teach your kids that with God they can do the most amazing things. Little Ones Can Do Big Things Too DVD by Veggie Tales was published by Authentic in December 2012 and is our 1805th best seller. The ISBN for Little Ones Can Do Big Things Too DVD is 5060256820871. Be the first to review Little Ones Can Do Big Things Too DVD! Got a question? No problem! Just click here to ask us about Little Ones Can Do Big Things Too DVD. Get ready to root for the underdog! Three beloved VeggieTales stories will get your child singing, acting courageously, and learning valuable lessons that every little one needs to know. Includes Dave and the Giant Pickle, Pistachio: The Little Boy Who Woodn't, and Lyle, the Kindly Viking. Also features new animation, introductions, and silly songs. 120 minutes.